With an operating weight of 7,474 lbs. (3,390 kg), a dig depth of 10 ft. 7.7 in. (3.2 m), maximum reach of 17 ft. 3 in. (5.2 m) and breakout force of 9,127 lbs., the TB235 provides excellent working range and performance. Takeuchi-US has launched the TB235-2 compact hydraulic excavator. Sharing the same design concept of the TB230, TB240 and TB260, the TB235-2 provides Takeuchi with a 3.5 ton (3.1 t) offering in this competitive market classification. 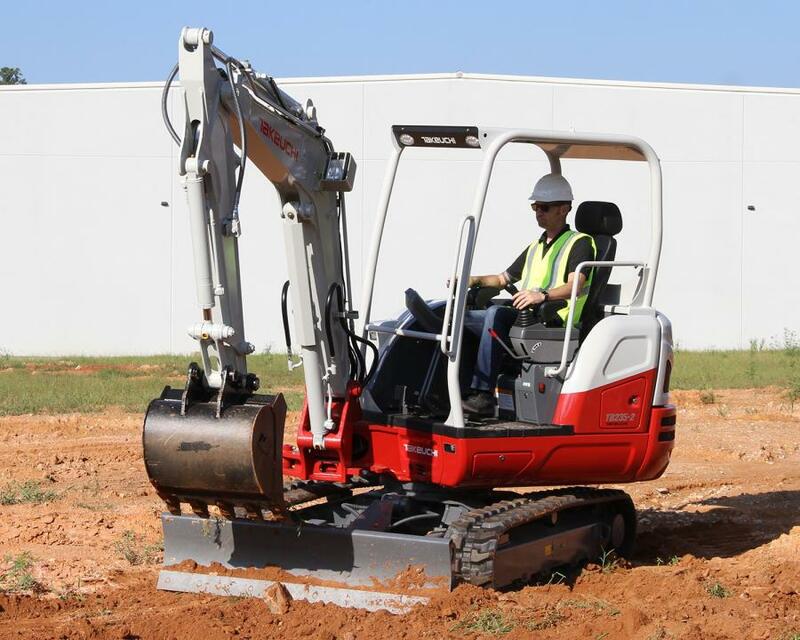 With the TB235-2, Takeuchi will be able to meet the needs of a wide range of customers including general contractors, landscapers, utility contractors and the rental industry. With an operating weight of 7,474 lbs. (3,390 kg), a dig depth of 10 ft. 7.7 in. (3.2 m), maximum reach of 17 ft. 3 in. (5.2 m) and breakout force of 9,127 lbs., the TB235 provides excellent working range and performance. Additionally, the TB235-2 shares the 24.4 hp Yanmar engine with the TB230 and requires no additional exhaust after-treatment systems. The operator's station is spacious and features an automotive styled interior with a multi-information display to keep the operator informed of machine health and condition. A cab option is available with air conditioning and heat that will provide year round operator comfort in varying climates and conditions. Takeuchi Fleet Management (TFM) telematics system is standard equipment on the TB235-2 and provides free access for the first two years of ownership. TFM provides a wide variety of data that includes machine location, health, condition and run time. The TFM system will help reduce downtime, control costs, perform remote diagnostics and schedule maintenance.